Casa Neptune is a newly built two bedroom, one and a half bath, two story house that is two blocks from the beach, next to the nature preserve, in the quiet zone and a few steps from the business district. Casa Neptune's unique location gives you the best of both worlds, complete privacy and tranquility; yet close to all the amenities, i.e. restaurants, shopping, internet, etcetera. While staying in Casa Neptune you will be able to enjoy all the nature that Costa Rica has to offer. You will especially the monkeys sunning above the pool while the Pizotes meander through the gardens. 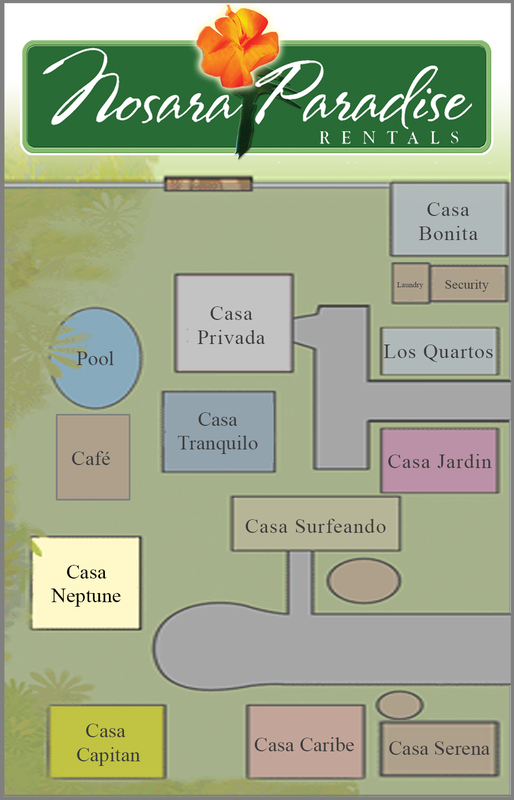 Casa Neptune's surrounding garden blends perfectly with the adjacent nature preserve. 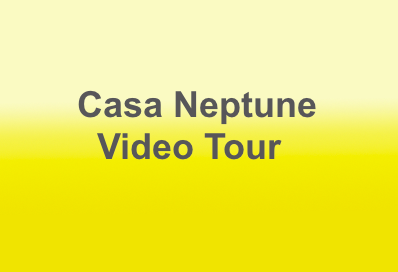 Casa Neptune also comes complete with all the necessary items to fully enjoy your stay, all kitchen appliances, utensils, microwave, blender, towels, linens, wifi, and much more are included. Casa Neptune is perfect for the family or friends looking to enjoy a true slice of Costa Rican paradise. Your browser does not support the video tag. Download the video or upgrade to a more modern browser.